The Coach: Adam Lewis is one of the UK’s most successful wave sailors and one of the friendliest windsurfers you will ever meet. 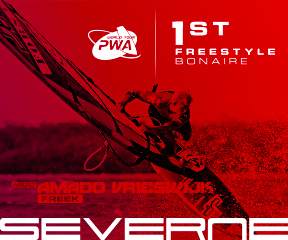 2x UK champion and 3rd in the PWA Tenerife World Cup. Expertly analysing every move, wave and technique is what makes Adam one of the best windsurfers in the World. It puts him in a unique position to give your sailing the ultimate makeover and an exclusive opportunity to learn from one of the best in the world. Having spent loads of time in Tenerife also means he’ll we able to get the best out of whatever conditions are on offer. Using video coaching with in depth video de-brief sessions, loads of water time and practical real world guidance. Adam will gently nurture you into a no-holds-barred wave-sailor with skills that would take years to develop. Dates: 16th-23rd February 2019 & 11th-18th August 2019. Travel: the dates above are recommended travel dates, with the clinics starting on 17th Feb and 12th Aug respectively. Required Level: As a minimum you must be able to sail a shortboard upwind and comfortably water start. Previous wave sailing experience is not necessary. The conditions. El Medano benefits from North Easterly tradewinds that provide port tack jumping and cross on wave riding. It has 3 main spots: El Medano Bay, where the centre is located and we will be launching from, has the easiest sailing, with a sandy launch and the smallest waves, rarely over head high. The Harbour Wall, is just a couple tacks upwind from the centre, here waves break on the end of a rock reef leaving an easy channel to sail back out, it works at low tide and is a great place to improve your wave riding. 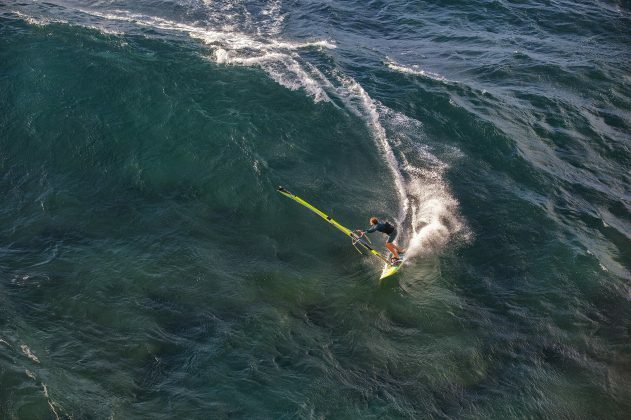 The more advanced area which hosts the PWA wave event once a year is El Cabezo, further upwind, the waves can break the heaviest here and break on to a less forgiving rock reef. We will be starting the week in the bay or at the wall as the weather dictates with an eye to venture up to Cabezo by the end of the week. 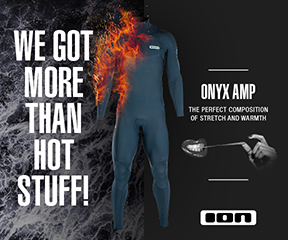 Temperature: The sun shines year round in Tenerife but the days are shorter and the sun lower in Winter making wetsuits essential on the water and jeans and jumpers in the evenings. During the Summer months most people still sail in a shorty as the the wind is not hot but some do sail in boards only. Off the water it is HOT, pack plenty of suncream!